The Envirotreat Permeable Reactive Barrier System incorporates the use of modified pillared E-Clay technology. The E-Clay technology is designed to chemically immobilise pollutants of concern within contaminated groundwater. The basis of the E-Clay barrier installation is to intercept the natural flow of contaminated groundwater. The barrier is unique in that it consists of the reactive material (pillared modified clay which are porous providing a permeable medium) mixed in-situ with the soils present. 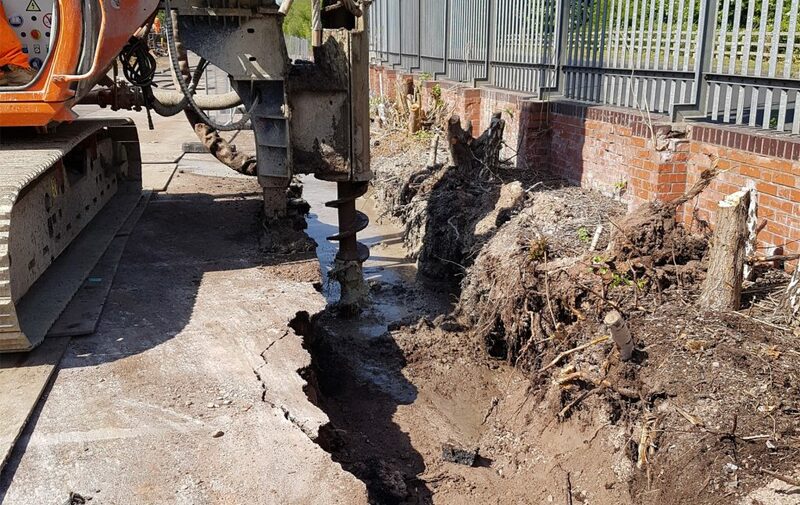 As the groundwater passes through the treatment barrier, the contaminants are immobilised within the media and are removed resulting in compliant groundwater. The in-situ reactive barrier technology is recognised as a highly effective form of groundwater treatment. Envirotreat have demonstrated the ability of the barrier design to treat groundwater impacted with a wide range of pollutants, including hydrocarbon contamination (including total petroleum hydrocarbons, polycyclic aromatic hydrocarbons, chlorinated hydrocarbons, etc) and inorganics contamination (including metals, hexavalent chromium, cyanide, ammonium, etc). The E-Clay Permeable Reactive Barrier is designed to meet client / Regulator requirements in terms of lifespan and remediation criteria. Existing Site Investigation findings are adequate for most site barrier designs. Envirotreat utilise two different installation approaches. The first approach uses Continuous Flight Auger soil mixing technology (Piling Rig) to soil mix the in-situ soils with the E-Clay medium and create a barrier by overlapping soil mixed column to produce the E-Clay barrier. 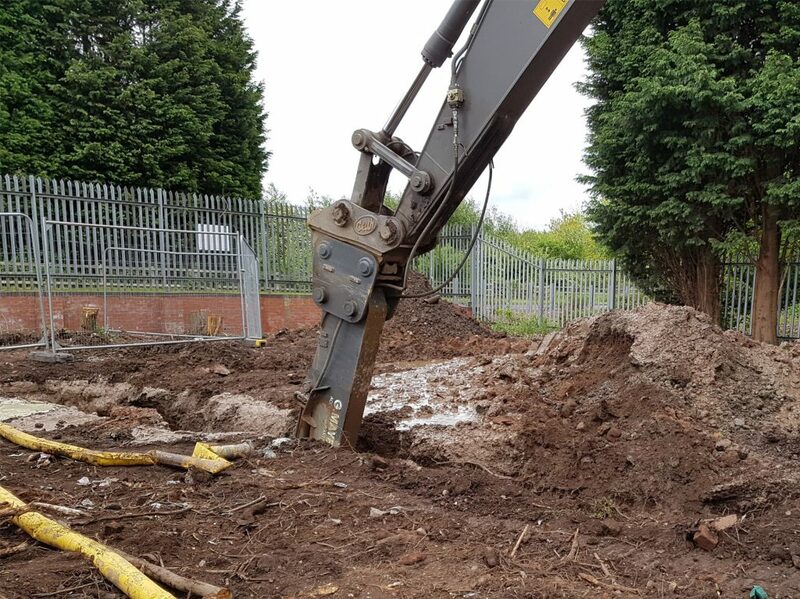 The second approaches uses a conventional excavator to create a series of short interlocking trench sections where the soils are mixed in-situ soils with the E-Clay medium.